It never hurts to load up on information, especially when you’re preparing to enter the real estate market. And while there’s tons of information online to get educated about buying and selling real estate, sometimes you may want to go deeper and learn more. If so, there are many great books on the market that will help you understand real estate transactions in depth. Here are some of our top picks. Don’t let fear of the unknown prevent you from making your real estate dreams a reality. Whether you want to buy your first home or invest in properties, these books will give you a thorough education about the process. Nolo’s Essential Guide to Buying Your First Home – This go-to book for real estate newbies covers all the bases from a legal perspective. It contains advice from every kind of real estate professional, including brokers, attorneys and inspectors. You’ll also get stories from real-life buyers and learn what to avoid. The 106 Common Mistakes Homebuyers Make (And How To Avoid Them) – While we often learn most from our own mistakes, they can cost you when you’re buying real estate. Instead, learn from the mistakes of others so your home purchase goes smoothly. Real Estate Investing For Dummies – The Dummies series has been around for a long time, and there’s a reason why. These books are a great introduction to just about any topic. This particular edition will give you a good understanding of the investment process. As you get more knowledgeable and confident, you can explore more niche topics in real estate investing. Selling a home can be an intimidating and complex process. It helps if you know what to expect before you begin. 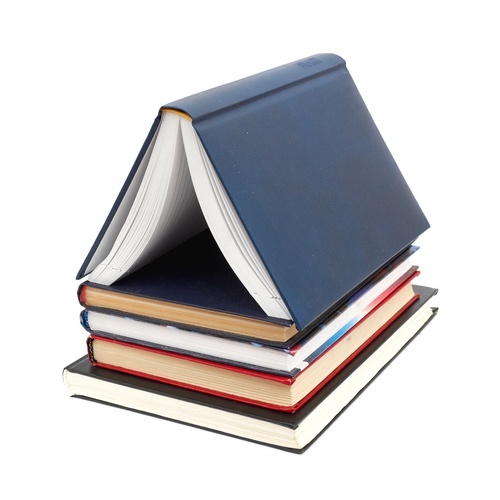 If you’re preparing to sell a home, here are some excellent books that we can recommend. Selling Your House: Nolo’s Essential Guide: Much like their book on buying a home, Nolo’s guide for selling is equally informative. This book tells you everything you need to know about strategizing, planning and closing the deal. House Selling for Dummies – If you want to make sure you understand all the basics of selling your home, this is a great book to have. Learn how to attract buyers, determine your selling price, negotiate the best offer, and much more. Your Amazing Itty Bitty Sell Your Home Book – Don’t let the cute name fool you. This book is chock full of solid advice for staging your home and netting a quick sale at a great price. It outlines the steps you should take to make your home more beautiful in order to attract buyers and get better offers. If you’re planning to stage your home yourself, this is a great read. So head on out to your favorite neighborhood bookstore, your local library or shop online to pick up some of these great books. The information will be invaluable as you begin the process of buying or selling a home.